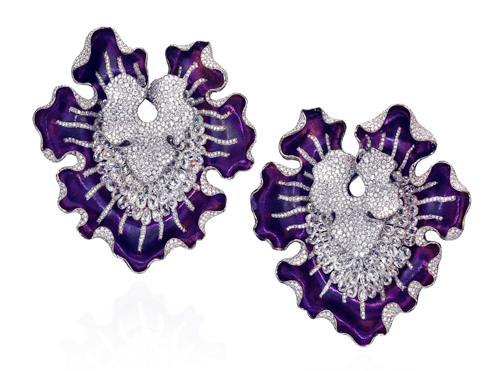 Anna Hu – The titanium used to create these jaw-grazing Myth of the Orchid earrings, with round and briolette diamonds, was anodised to create iridescent deep purple petals. 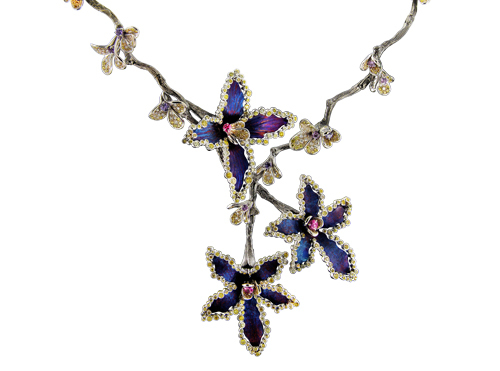 Caratell – More than 600 diamonds and coloured gems have been set in titanium, which is lighter and stronger than gold, to create the Midnight Gaze necklace with anodised blooms. 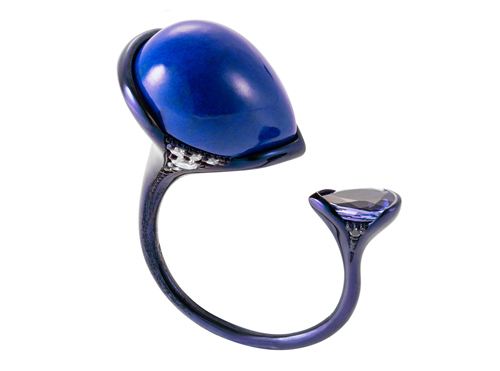 Fernando Jorge – A dark-blue nano-ceramic coating has been applied to this gold ring from the Bloom collection and it perfectly matches the lapis lazuli cabochon and tanzanite pear. 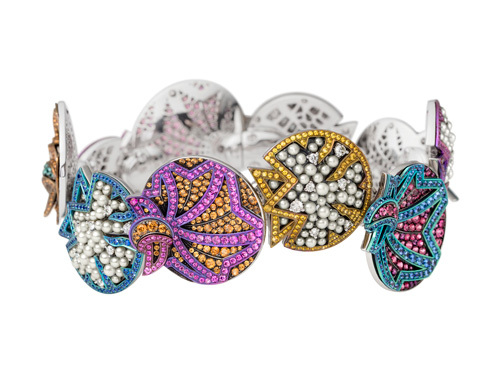 Giampiero Bodino – Anodised titanium has been used to match the colour of pavé gemstones in the Conchiglie bracelet, with higher voltages achieving different hues. 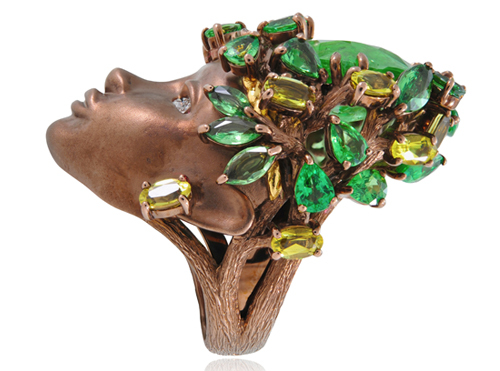 Lydia Courteille – Altering the metals that mix with pure gold to create alloys for jewellery can lead to new colours, like the brown gold of this tourmaline and tsavorite Queen of Sheeba ring. 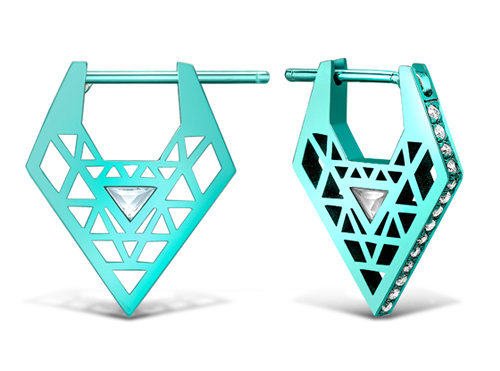 Noor Fares – A neon aqua e-coating has been applied to grey gold to create these Chandbali earrings from the Akasha collection, set with triangular white topaz and diamond pavé.